A great investment opportunity has arisen in Gloucestershire, featuring the beautiful cathedral city of Gloucester and set at the edge of the picturesque Cotswolds, an area of outstanding beauty. Currently turning over £110k, generated from 154 outlets that comprise a good mix of both National Accounts and independent stores, including well-known brands like Costcutter, Premier and Londis. The territory also has within its boundaries Cheltenham, Stroud and Chippenham. The city of Gloucester has seen unprecedented regeneration in the last decade but has still kept its identity as a leisure destination. Economically, the city is dominated by the service industries and has a strong financial and business sector, too. It offers for the right buyer a solid base for further development and is only available for sale due to the existing franchisees approaching retirement. 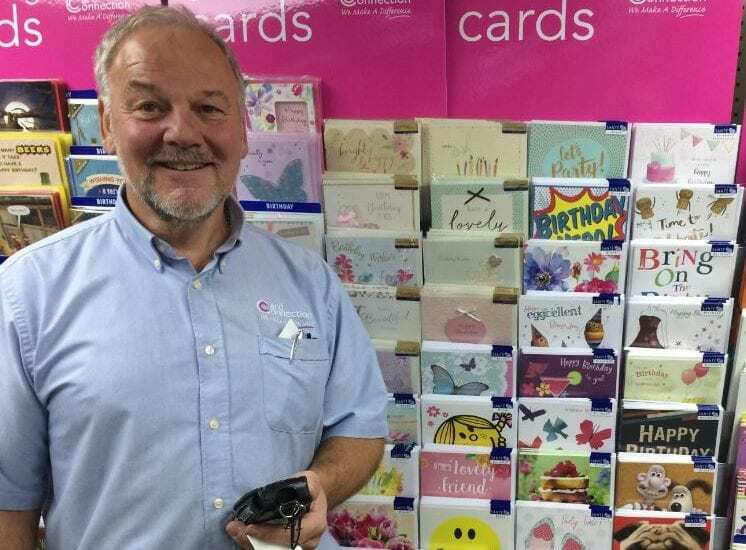 Card Connection franchisees supply greetings cards to retail outlets on a ‘consignment’ basis. This is one step beyond ‘sale or return’ as retail customers don’t have to buy the stock initially; they only pay for what they sell. This proven, award-winning business model has enabled hundreds of franchisees to run successful businesses since the early 1990’s. The Gloucester Territory is ideally suited to an ambitious and passionate couple looking to enjoy the flexibility of being their own boss but with the peace of mind knowing they have the support, knowledge and dedication of an established and highly successful organisation behind them. Working from home, all you need is a good sized garage (or equivalent) for stock, a van, mobile phone, iPad, plenty of enthusiasm and passion. Card Connection will supply all of the necessary training plus a detailed hand-over which will include an introduction to every single customer which helps ensure the new franchisee gets off to a great start, earning income from day 1. What’s the cost? The goodwill is £30k plus there’ll be additional charges for the stock, Fixtures, Legal Fees & Training. Card Connection is highly regarded by all the major bank franchising departments, where funding is available subject to status.